First of all we need MT4 to Excel exporter. 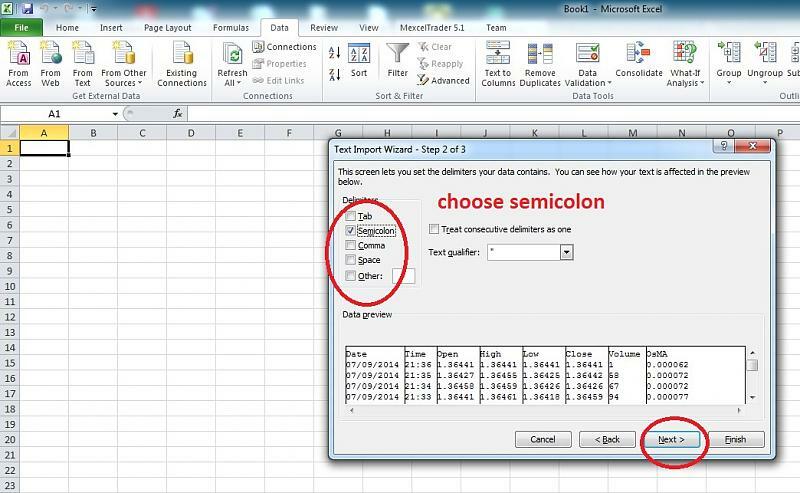 Future i will share my special excel indicators. This indicator was created by "hanover" . I made only few changes for stabilty. Either one of these will output OHLCV history to CSV files, simultaneously for up to 40 pairs/instruments, and 9 timeframes, allowing easy import to Excel. 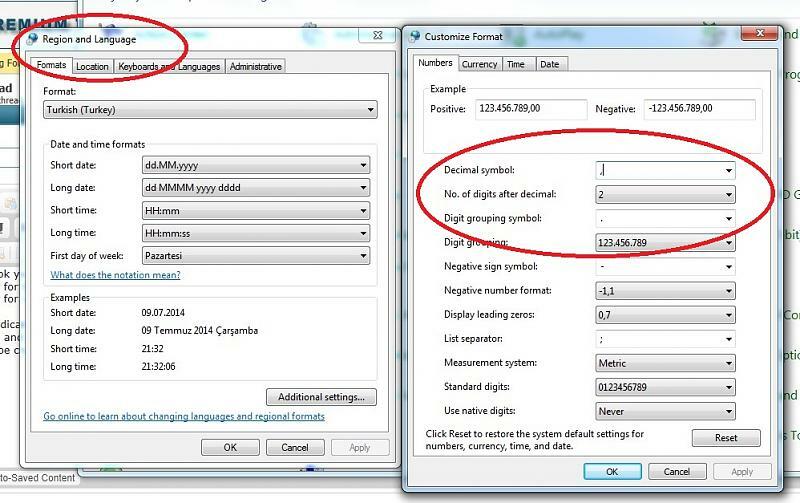 A separate file is created for each pair/timeframe combination. The indicator runs it once every time a new price tick occurs, overwriting the relevant file(s). 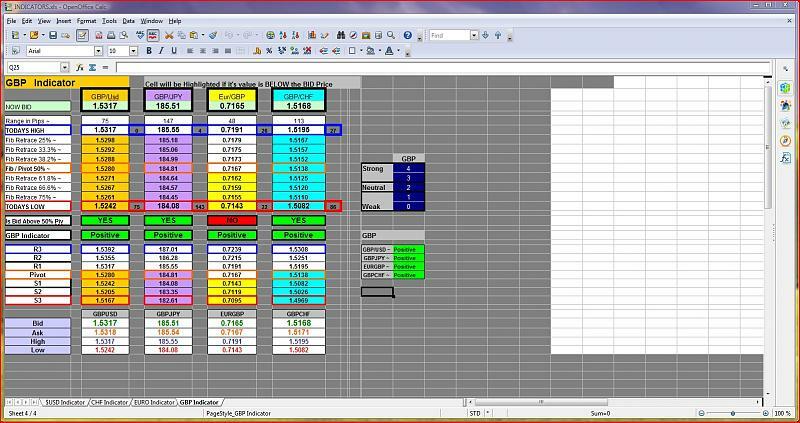 Hence the above entries would create 36 different files (4 pairs x 9 timeframes). DifferentSubfolderPerTimeFrame: if set to FALSE, all files will be output to your …/experts/files folder. If set to TRUE, subfolders will automatically be created under this folder, e.g. …/experts/fiels/H1, and the output file(s) will be created in the subfolders. LookbackBars: OHLCV values for the most recent (rightmost) ‘n’ bars will be output, where ‘n’ is the value you type here. If you specify either 0, or a very large number (e.g. 999999), then all values for all bars in the chart history will be output. WARNING: if using the indicator, then outputting a very large amount of data repeatedly on every price tick may bring MT4 to a standstill. DescendingDateTimeOrder: if set to FALSE, data is output in chronological order, i.e. earliest bar values at the start of the file. If set to TRUE, data is output in reverse chronological order, i.e. most recent bar values at the start of the file. 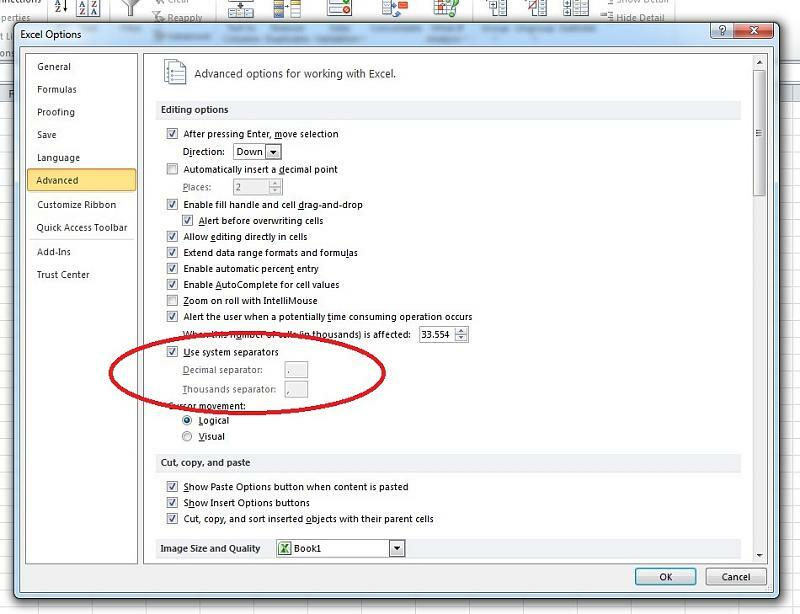 OutputHeaderLine: if set to TRUE, it will output one line (row), with column headings, at the start of the file. If set to FALSE, no header line will be output. 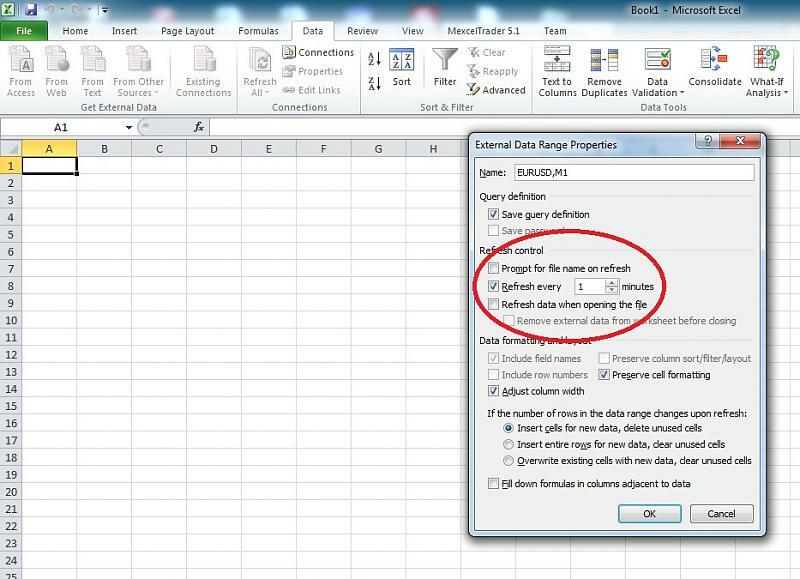 EncloseValuesInQuotes: if set to TRUE, each data value will be enclosed in double quotes, e.g. “1.3659”. These files are not specific for MT4. Choose for operating sistem (windows etc.) or Office version. 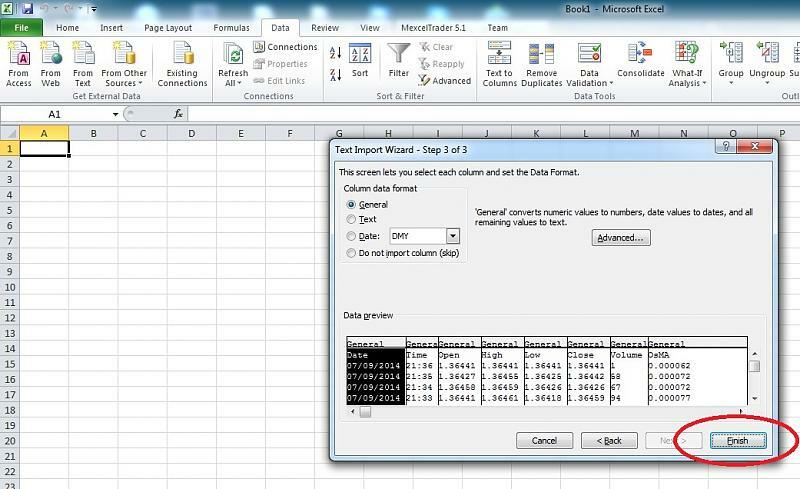 Otherwise excel formulas will not work and u will see different values. Last edited by levonisyas; 07-09-2014 at 06:26 PM. Files will be created at "\MQL4\Files" folder DO NOT OPEN THE CSV FILES DIRECTLY. 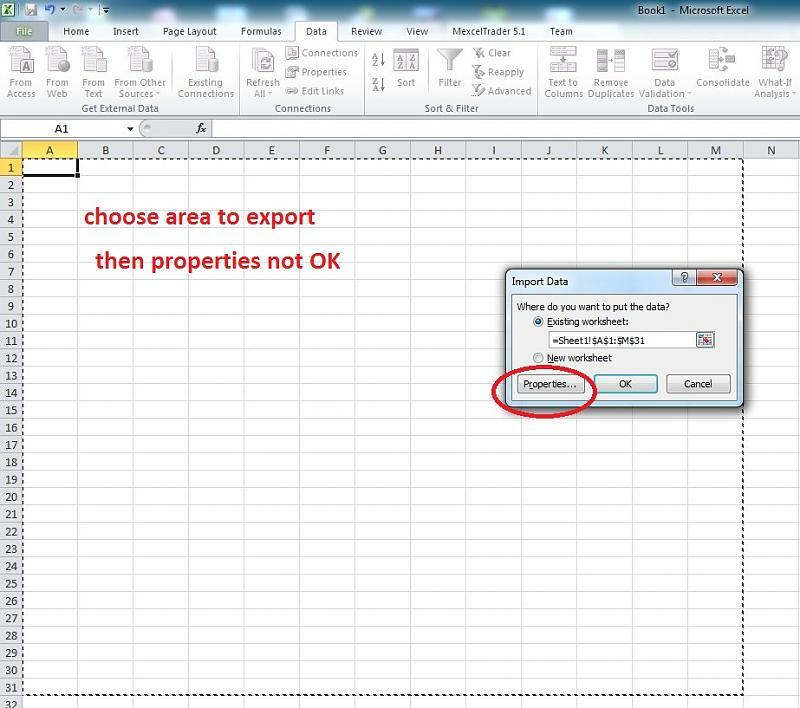 Use excel for your ideas, it is so easy. No need to learn mt4-5 coding language. Do not share ur secret ideas with coders, they are stealing ur ideas for making money. They are not angel. Do not give them money. Also there is no magic code or indicator. In turkish "kelin ilacı olsa başına sürer" - "if the hairless man knows the medicine for hair, he will use it for his therapy "" Not for you. All my best wishes for fx traders.. 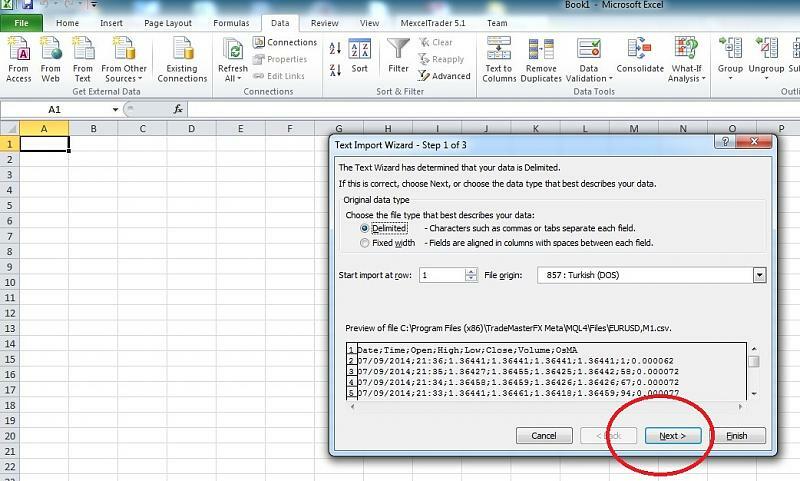 I found it on this website - Point & Figure chart in excel (attached). 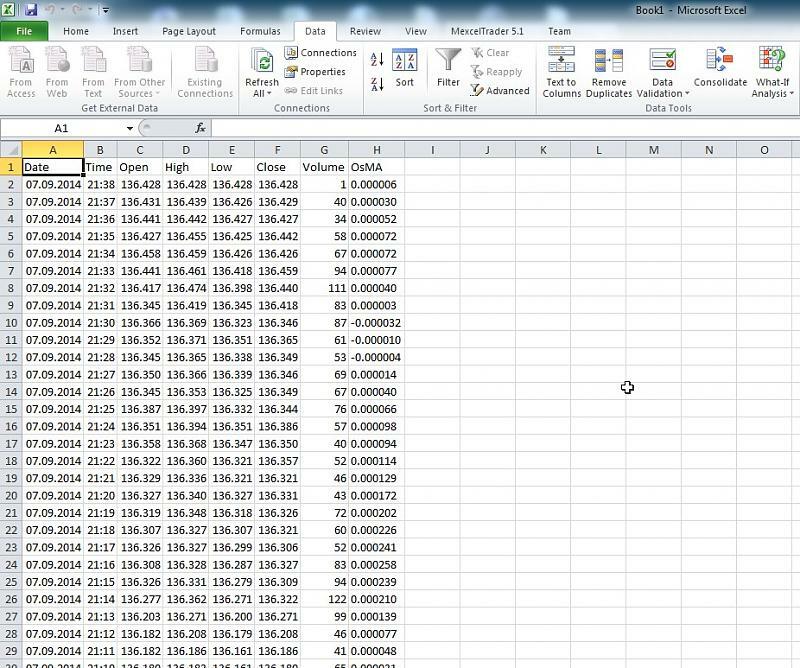 "Easily save historical bar data and every new tick to a csv file. 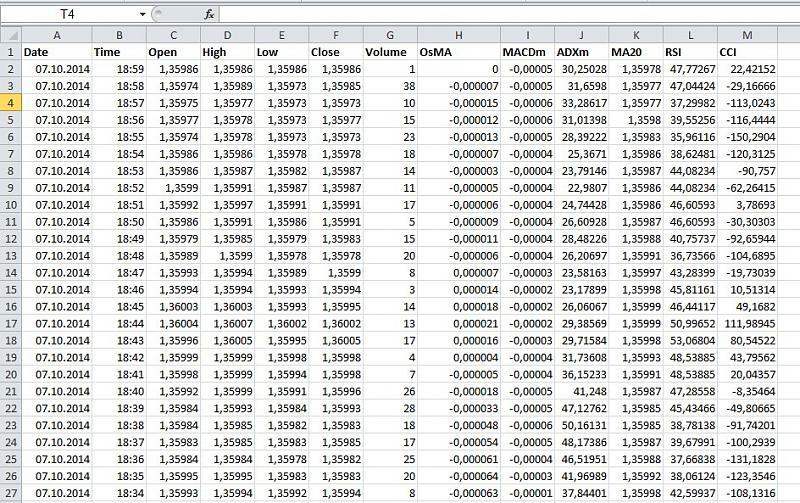 To find the saved file, in the MetaTrader 4 directory, open the "MQL4" folder and your file will be in the "Files" folder." 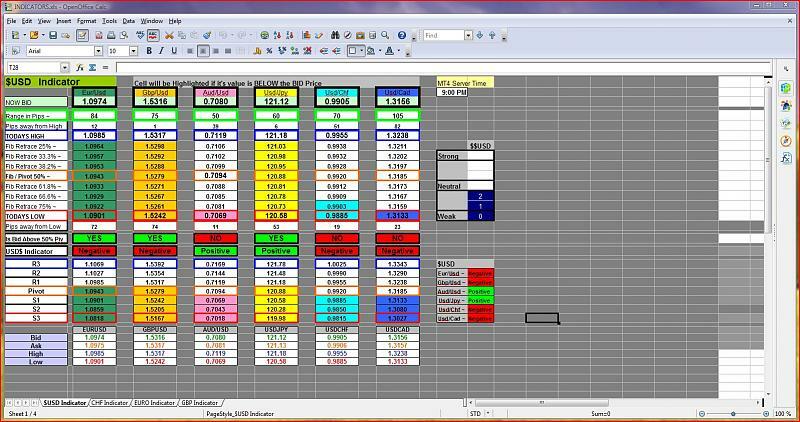 Here is another currency strength indicator in excel file for 4 pairs of currencies. 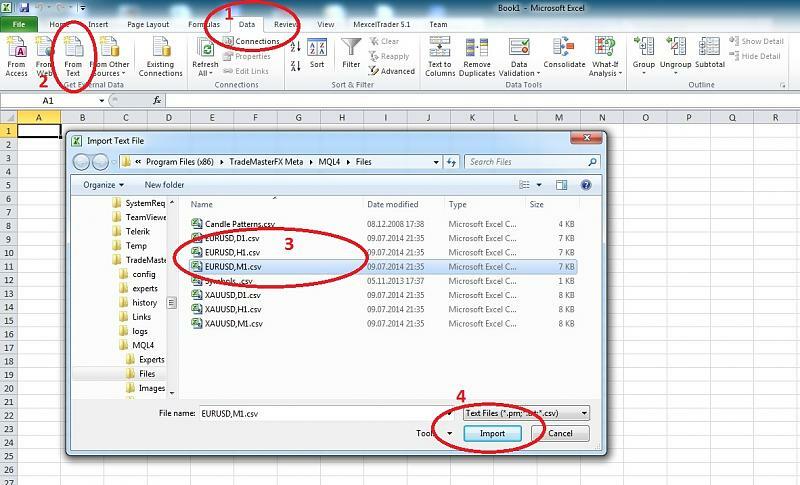 Just enable DDE server in MT4 and the excel file will be updating the info. Some screenshot which i run it with Apache OpenOffice 4.1.2 calc sheet. newdigital and juraia like this.